Recent years have seen a sizeable increase in utilization of diagnostic testing such as CT scans and D-Dimers, which has prompted concern over cost and the potential side effects for patients. The following review discusses several recent topics in the diagnosis and treatment of PE and venous thromboembolism, including the use of clinical signs in developing pretest probability, accuracy of clinical decision rules, home versus inpatient treatment for deep venous thrombosis, and new oral therapies. Balwinder Singh, Ajay K Parsaik, Dipti Agarwal, Alok Surana, Soniya Mascarenhas, Subhash Chandra. Diagnostic Accuracy of Pulmonary Embolism Rule-Out Criteria: A Systematic Review and Meta-analysis. Annals of Emergency Medicine. 2012 Jun;59(6):517-20.e1-4. Pulmonary embolism often presents with nonspecific signs and symptoms, making it a difficult diagnosis for EM physicians. For this reason, many physicians consider using clinical decision rules such as the pulmonary embolism rule-out criteria (PERC) score in patients at low risk for PE. The PERC score in particular consists of eight criteria, and if a patient meets all eight criteria, they are considered low risk for PE that any additional testing such as D-Dimer is unnecessary. In this systematic review and meta-analysis, the authors sought to evaluate the accuracy of utilizing the PERC score to be able to defer use of a D-Dimer in the emergency department (ED). Inclusion criteria were the following: studies that evaluated the diagnostic performance of the PERC score to rule out PE, reported original research, and were performed in the ED. The authors also developed a “checklist” to assess quality of methodology of studies specifically involving clinical decision rules. The checklist included the following statements, for which each study received a yes or no/unclear: (1) patients were selected in an unbiased fashion; (2) the study sample included a widespectrum PE pretest probability for which PERC was designed; (3) predictor variables were assessed without knowledge of the outcome; (4) outcomes were assessed without knowledge of the predictor variables; (5) outcomes were accurately defined; (6) loss-to-follow-up rate of less than 10%; and (7) explicit interpretation of the risk score by clinicians in practice without knowledge of the outcome. The primary outcome of interest was the diagnosis of PE or deep venous thrombosis (DVT) or death caused by venous thromboembolism within 90 days of the initial ED visit. retrospective, while the rest were prospective. Follow-up periods ranged from 14 to 90 days. The pooled sensitivity, specificity, positive likelihood ratio, and negative likelihood ratio were 0.97, 0.23, 1.24, and 0.18, respectively. The overall rate of missed PEs was 0.32%, or 44 of 13,885 cases. A subgroup analysis was performed based on prevalence of PE which divided studies into two groups — one with prevalence less than 10% and the other with prevalence greater than 10%. The pooled specificity was 0.16 in the group with the higher prevalence and 0.24 in the lower prevalence group. This meta-analysis finds that when the pretest probability is low, PERC is very sensitive in detecting PE, therefore, making D-Dimer or other diagnostic testing unwarranted. However, this study has several limitations. The first, which is mentioned by the authors, is the small number of studies that are available that meet inclusion criteria. The second is the low specificity of the PERC rule, the pooled value of which was only 0.23 in this study. However, one could argue that the PERC rule is meant to be used by physicians to rule out a disease with high morbidity and mortality, while there are other diagnostic tests which can be used to more accurately “rule in” the disease. Screening tests are designed to be highly sensitive, and not necessarily specific, so this specificity of 0.23 for the PERC rule is acceptable. Venkatesh AK, Kline JA, Courtney DM, Camargo CA, Plewa MC, Nordenholz KE, Moore CL, Richman PB, Smithline HA, Beam DM, Kabrhel C. Evaluation of Pulmonary Embolism in the Emergency Department and Consistency With a National Quality Measure: Quantifying the Opportunity for Improvement. Archives of Internal Medicine. 2012 Jul 9;172(13): 1028-32. 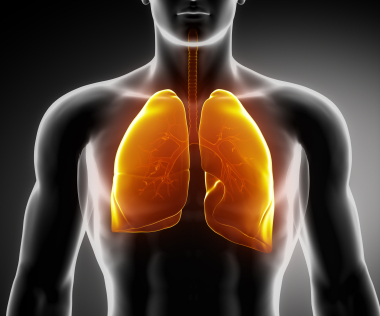 In 2011, the National Quality Forum (NQF) performed a retrospective analysis of use of computed tomography of the pulmonary arteries (CTPA) to evaluate for PE in patients with low pretest probability of PE. They concluded that 7-25% of CTPA studies are avoidable. In this study, the authors sought to prospectively evaluate patients for the same purpose of identifying CTPA studies that may have been avoidable. The study was a multicenter, prospective, observational study of ED patients from 12 U.S. hospitals (10 academic and 2 community hospitals). Inclusion criteria were ED patients with suspected PE for which a diagnostic test was ordered, such as D-Dimer, CTPA, ventilation/perfusion (VQ) scan or pulmonary angiogram. After the tests were ordered, but before the results were available, clinicians then prospectively collected data by interviewing the patient and reviewing the medical record. This data included elements included in the Wells score, the physician’s most likely diagnosis, as well as clinical gestalt for pretest probability of PE (classified as low, medium, or high). Patients were excluded who were being evaluated in the ED for DVT but not for PE and those for whom the treating physician had knowledge about a diagnostic imaging study which was positive for PE within the last seven days of the patient presenting to the ED. The primary outcome of interest was “avoidable imaging.” This was classified as CTPA or VQ scan in hemodynamically stable patients with low pretest probability (Wells score <2) and in whom D-Dimer test was either not performed or had a negative result. There were a total of 6,089 patients enrolled in this study, 5,940 of which were classified as hemodynamically stable. Using the Wells score, 4,113 patients (69%) were determined to have low pretest probability for PE (<2 points) 1,634 (28%) as having intermediate pretest probability (2-6 points), and 193 (3%) as having high pretest probability (>6 points). D-Dimer tests were performed in 4,263 patients. A total of 3,710 of enrolled patients had diagnostic imaging and were hemodynamically stable. Of these patients, 2,238 (54%) had low pretest probability (Wells score <2 points). For the patients who had imaging, 1,205 (32%) met NQF criteria for “avoidable imaging.” Subgroup analyses was performed using modified Wells score with <4 points being classified as unlikely to have PE and <6 points classified as low or intermediate pretest probability for PE. For these subgroup analyses, it was concluded that about one-third of diagnostic imaging may be avoidable. Fifty patients (1.3% of those who underwent imaging) were diagnosed with PE despite having been categorized as having had avoidable imaging, though no D-Dimer was sent in these patients. Furthermore, eight patients (0.2% of those imaged) were diagnosed with PE after a negative D-Dimer and also with imaging that was deemed as potentially avoidable. Interestingly, analysis demonstrated that certain patient characteristics, particularly older age, sickle cell disease, and inactive cancer, were most associated with the performance of avoidable imaging. These results have important implications for clinical practice given that they suggest that one in three diagnostic imaging studies performed to rule out PE in patients with low pretest probability of disease are potentially avoidable. These findings parallel those of the NQF. As hospitals enrolled in PE research may be more likely to follow clinical guidelines, it may actually underestimate the amount of avoidable imaging when compared to other institutions. However, among a small percentage of the total patients who were imaged, there were several cases of “missed” PEs in the setting of either negative D-Dimers or cases where no D-Dimer was performed. This must be taken into consideration given the high morbidity and mortality associated with PE. However, the clinical significance of these “missed” PEs is not known from this article. Drescher FS, Chandrika S, Weir I, Weintraub JT, Berman L, Lee R, Van Buskirk PD, Wang Y, Adewunmi A, Fine JM. Effectiveness and Acceptability of a Computerizes Decision Support System Using Modified Wells Criteria for Evaluation of Suspected Pulmonary Embolism. Ann Emerg Med. 2011; 57: 613-621.
setting, a prompt for the decision aid automatically appeared on the computer when an emergency physician entered an order for CTPA or D-Dimer testing. The physician was able to opt out or proceed to use the decision aid to generate recommendations to obtain a D-Dimer or proceed directly to CTPA for high-risk scores. The decision to follow the recommendations of the computer decision aid was left to the discretion of the emergency physician. The study aimed to increase positivity rates of CTPA for PE and evaluate the acceptability of this added computerized decision aid to emergency physicians. The primary outcomes were the positivity rates of CTPA for PE during the pre-introduction and study period. A CTPA was labeled as positive if a defined filling defect was visible and negative if a filling defect was not visible or there was suboptimal visualization of the pulmonary vessels with no additional treatment pursued by the emergency physician. Patients were also followed for six months to evaluate if patients returned for repeat evaluation of PE. A total of 404 cases were eligible during the intervention period (March through June 2008), but the emergency physician opted out of the decision entirely in 11 cases. Of the remaining 393 cases, 229 or 58% underwent CTPA with or without D-Dimer testing. In the pre-intervention period, 17 of 205 CTPA tests for PE were positive (8.3%; 95% CI 4.9% to 12.9%) compared to 29 out of 229 during the intervention period (12.7%; 95% CI 8.6% to 17.7%). Note that although there was a 4.4% increase in CTPA positivity rates during the intervention period compared to the pre-intervention period, the study may have been underpowered because the 95% confidence intervals overlap. During the intervention period, the number of positive CTPAs without D-Dimer testing increased from 0 cases to 11 cases (change of 12.7%;95% CI 5.8% to 20%). Only eight patients returned to the ED within six months for repeat evaluation for PE. No patients with negative CTPA for PE on initial visit had subsequent PE on return visit. Acceptance of the computerized decision support system varied amongst the emergency physicians, and only 39% (7 out of 19 physicians) always followed the CTPA recommendations. Reasons for non-adherence to recommendations included too much time spent at the computer away from direct patient care, lack of belief that the decision aid was helpful, and preference for a more intuitive approach to evaluate for PE. In a subset analysis of encounters with emergency physicians that were compliant with the computerized decision support system, 168 CTPA tests were ordered for patients with a high-risk Wells score or positive D-Dimer, and 28 were positive for PE (16.7%, 95% CI 11.4% to 23.2%). This is an increase in the positivity rate of 8.4% compared to the pre-intervention period (95% CI 1.7% to 15.4%). This subset analysis compared to the overall results suggests that poor physician adherence limited the effectiveness of the computerized decision support system. The study was limited due to lack of acceptance by emergency physicians, and it was underpowered. The comparison group was retrospective, and the study could not control for temporal related factors. The patient population during the pre-intervention period may have had different characteristics than the patient population during the intervention period. In addition, follow-up was conducted via hospital record review at the individual institution and did not use direct patient followup which may have revealed additional evaluations for PE at other institutions. The authors call for more judicious use of CTPA to evaluate PE citing risk of medical radiation, cost of further evaluation of unintended findings on CTPA, increased numbers of false positive CTPA tests, and harm from subsequent anticoagulation. Although there was a small increase in positivity rates of CTPA during the intervention period and the increase was doubled among a subset of compliant emergency physicians, the computerized decision support system was poorly accepted among emergency physicians. There is a need for an effective computerized decision support system for evaluation of PE that considers both patient characteristics and improves the compliance of emergency physicians. Kline JA, Corredor DM, Hogg MM, Hernandez J, Jones AE. Normalization of Vital Signs Does Not Reduce the Probability of Acute Pulmonary Embolism in Symptomatic Emergency Department Patients. Academic Emergency Medicine (2012) 19:11-17. The objective of this prospective, noninterventional, single-center study was to evaluate if normalization of an initially abnormal vital sign can be used to lower the suspicion for PE. Research associates identified patients by surveying the electronic tracking system for any CTPA ordered from the ED at Carolinas Medical Center in Charlotte, NC. They were then asked to enroll in the study if they had at least one sign or symptoms of PE and at least one risk factor. If enrolled, four sets of vital signs including pulse rate, respiratory rate, shock index, and pulse oximetry were recorded. The protocol did not mandate any change in frequency or method of measuring vital signs; instead they were recorded as part of standard care. Prior to obtaining the CTPA, research coordinators approached the primary clinician in charge of ordering it with the question, “Do you believe the patient has an alternative diagnosis that is more likely than PE?” Their responses were recorded, and follow-up then occurred at 45 and 90 days after enrollment to determine any deaths, any adverse clinical events in general, and any imaging or diagnosis of new PE or DVT. A total of 192 patients were enrolled between May 31, 2007, and March 3, 2008. Of those, 35 patients (18%) had a CTPA that was positive for acute PE. At the time of enrollment, clinicians estimated an alternative diagnosis was more likely than PE in 109 of 192 patients (57%). All patients had vital signs at triage, and 174 (91%), 135 (70%), and 106 (55%) had subsequent second, third and fourth sets obtained, respectively. The median time intervals for repeated vital sign were 2:20, 4:16, and 5:42. The median time to CTPA completion was 1.3 hours after the second set of vital signs was completed. The diagnostic accuracy for each vital sign at each time was examined to evaluate if normalization can be used to lower suspicion for PE, and none demonstrated discriminative value across repeated measurements. In fact, the percentage change in vital signs was similar between patients with and without PE. This study, therefore, does not support the use of observing a patient’s abnormal vital signs for normalization as rationale for lowering the pretest probability of a patient having a PE. However, one major limitation is that this study only included patients with risk factors for thromboembolism as well as those demonstrating signs and symptoms consistent with a PE, thereby restricting the study population to those with moderate to high pretest probability for PE. This limits the utility of this study, in that the results would be more clinically relevant had patients who were low risk for PE been included. Othieno R, Abu Affan M, Okpo E. Home versus in-patient treatment for deep vein thrombosis. Cochrane Database of Systematic Reviews 2011, Issue 3. DVT is a common diagnosis that we encounter in the ED. It is known to affect one to two per thousand adults per year. Risk factors for developing a DVT include malignancy, post surgery, trauma, and immobilization. The gold standard for diagnosis includes ascending venography and duplex ultrasound. Patients who are hospitalized are usually treated with unfractionated heparin (UFH) or low molecular weight heparin (LMWH) for about five days and overlapped with oral anticoagulation. Many trials have been conducted regarding UFH versus LMWH with some showing that LMWH was at least as effective as UFH if not more. Therefore, anticoagulation with LMWH has become the treatment modality for patients without renal dysfunction in many clinical practices. The Cochrane Collaboration sought to address the current data on the home versus in-patient treatment of DVT. Their findings were published in 2007 and republished this past year in 2011. Six randomized control trials incorporating 1,708 patients with DVT who were treated with anticoagulation at home or in the hospital were reviewed. This review found that the risk of recurrent venous thromboembolism (VTE) was less in patients treated at home. They were also less likely to have major bleeding and deaths but more likely to have minor bleeding complications when compared to patients treated in the hospital. The objective of the analysis was to compare the incidence of complication of VTE when treated at home versus in-patient. Secondary objectives included patient satisfaction and cost effectiveness between both groups. Only randomized controlled trials (RCTs) were included in this study. The complications of VTE included were PE, recurrent DVT, venous gangrene, major and minor bleeding, and death. Studies were found by searching in the Cochrane Peripheral Vascular Disease Group trials register and the Cochrane Library. The trials register had been created from regular electronic searches in MEDLINE, EMBASE, and CINAHL. of 1,708 patients. Koopman had 400 participants (202 home and 198 hospital). Levine had 500 participants (247 home and 253 hospital). Chong had 298 participants (150 home and 148 hospital). Boccalon and Ramacciotti had 201 participants each (99 home and 102 hospital in Boccalon, 104 home and 97 hospital in Ramacciotti), and Daskalopoulos had 108 participants (55 home and 53 hospital). Of the six trials, only Boccalon used LMWH in both treatment arms. The other studies used LMWH in the home treatment groups and UFH in the hospital treatment groups. The VTE recurrence rate was 11.3% in the hospital group versus 9.1% in the home group in the Daskalopoulos study. The rate was 9.5% versus 2.7%, respectively in the Chong trial. The other trials also reported similar results with increased rate of VTE recurrence in the hospital treatment groups. The Boccalon trial, which is the only trial that used LMWH for both arms, had a recurrence rate of 2% for the hospital group versus 1% for the home group. The Chong trial was the only trial that showed statistical significance. The pooled results produced a significant difference with a fixed-effect RR of 0.61 (95% confidence interval 0.42 to 0.9). The rate of major bleeding was reported as 7.5% in the hospital treatment group and 3.6% in the home treatment group in the Daskalopoulos study. In the Koopman trial, the rate was 2% versus 0.5%, respectively. The Boccalon trial reported similar rates between both groups. Pooling the results showed no statistical significance with RR 0.67 and 95% CI 0.33 to 1.36. The death rates were also higher in the hospital treatment groups versus the home treatment groups in five out of the six studies with the sixth study not reporting on death (Ramacciotti trial). Individual and pooled results were not statistically significant, with RR 0.72 and 95% CI 0.45 to 1.15. Other outcome measures included patient satisfaction and cost of treatment. Four studies (Koopman, Levine, Boccalon, Daskalopoulos) showed improved cost effectiveness in the home treatment group, mainly due to the high cost of in-patient treatment. In the original Koopman trial, patients were given quality of life questionnaires at the end of the treatment course and at 12 and 24 weeks. In terms of “physical activity” and “social functioning” criteria, quality of life was reported to be higher in the patients receiving treatment at home. review is the high percentage of study participants who were allocated to the home treatment group who ultimately required hospitalization. Only 36% of participants in the Koopman trial were treated entirely at home, while 39% had a short hospital stay and 25% were treated entirely in the hospital. Fifty percent of the participants in the Levine trial were treated entirely at home. Seventy-seven percent of patients in the “home” treatment arm in the Chong trial were admitted to the hospital. The Ramacciotti trial also reported hospitalization for 64% of the home treatment group. This Cochrane review demonstrates that patients treated at home with LMWH are less likely to have VTE recurrence compared to those treated in the hospital with UFH or LMWH. This finding was statistically significant when data from all of the included studies was pooled. The compilation of the RCTs reviewed here also showed lower mortality, lower rates of major bleeding, and higher minor bleeding rates with patients treated at home; however, this was not statistically significant. Home management was also more cost effective and led to higher quality of life scores reported by patients. The EINSTEIN-PE Investigators. Oral Rivaroxaban for the Treatment of Symptomatic Pulmonary Embolism. New England Journal of Medicine. (April 5, 2012) 366;14. The traditional treatment for patients with PE has been to bridge with heparin or enoxaparin while waiting for warfarin to become therapeutic. A major limitation to this approach is the need for frequent laboratory monitoring in addition to regular dose adjustments to maintain a therapeutic INR. Rivaroxaban is an oral direct inhibitor of factor Xa that is dosed daily and does not require laboratory monitoring. The goal of the EINSTEIN-PE study was to compare rivaroxoban to the standard therapy of enoxaparin and warfarin in patients with an acute symptomatic PE with or without DVT. It was a randomized, open-label, event-driven, noninferiority trial that enrolled 4,832 patients at 263 sites in 38 countries between March 2007 and March 2011. Prior to randomization, the intended treatment was determined by treating physicians for a length of 3, 6, or 12 months. Patients were then randomized to treatment by standard therapy or with rivaroxoban. Those randomized to the standard therapy group were started on enoxaparin at a dose of 1.0mg per kilogram twice daily and either warfarin or acenocoumarol within 48 hours of randomization. Patients received at least five days of enoxaparin, which was discontinued when the INR ranged between 2.0 and 3.0 for two consecutive days. Those randomized to rivaroxaban therapy received 15mg twice daily for three weeks, then 20mg once daily for the remainder of treatment duration. Of the 4,832 patients, 2,419 were assigned to receive rivaroxaban and 2,413 standard therapy. The mean treatment study duration was approximately nine months. While undergoing treatment, the primary was found in 50 patients (2.1%) in the rivaroxaban group versus 44 patients (1.8%) in the standard therapy group, yielding a hazard ratio of 1.12 (95% confidence interval 0.75 to 1.68). The principal safety outcome (defined as a clinically relevant bleed) occurred in 10.3% of patients taking rivaroxaban compared to 11.4% of those in the standard therapy group, yielding a hazard ratio of 0.9 (95% confidence interval 0.76 to 1.07). Major bleeding occurred in 1.1% of patients in the rivaroxaban group and in 2.2% of patients in the standard therapy group, with a hazard ratio of 0.49 (95% CI 0.31 to 0.79). One potential limitation to this study is that, prior to randomization into the rivaroxaban or standard therapy groups, all patients received LMWH for varying amounts of time, though almost all patients received LMWH for less than 48 hours. While the authors argue that the administration of LMWH for such a brief period should not affect results, it is possible that receiving LMWH for up to 48 hours could have some impact. The other, and perhaps more significant, limitation of this study is that it was an open trial, meaning that neither patients nor researchers were blinded as to what treatment was being administered. However, while the criteria for diagnosing recurrence of venous thromboembolism were objective diagnostic findings, the open design may have had more of an impact on secondary outcomes. for reversal of anticoagulation in the event of major bleeding. 1. Koopman MMW, Prandoni P, Piovella F, Ockelford PA, Brandjes DPM, van der Meer J, et al. Treatment of patients with venous thrombosis with intravenous unfractionated heparin in hospital compared with subcutaneous low-molecularweight heparin out of hospital. Annals of Hematology 1996;72:A3. 2. Levine M, Gent M, Hirsch J, Leclerc J, Anderson D, Weitz J, et al. A comparison of low molecular weight heparin administered primarily at home with unfractionated heparin administered in the hospital for proximal deep vein thrombosis. New England Journal of Medicine. 1996;334:677-682. 3. Chong BH, Brighton TA, Baker RI, Thurlow P, Lee CH, ASTH DS Group. Once-daily enoxaparin in the outpatient setting versus unfractionated heparin in hospital for the treatment of symptomatic deep-vein thrombosis. Journal of Thrombosis and Thrombolysis. 2005;19(3):173-81. 4. Boccalon H, Elias A, Chale JJ, Cadene A, Gabriel S. Clinical outcome and cost of hospital vs home treatment of proximal deep vein thrombosis with a lowmolecular- weight heparin: the Vascular Midi-Pyrenees study. Archives of Internal Medicine 2000;160(12):1769-73. 5. Daskalopoulos ME, Daskalopoulou SS, Tzortzis E, Sfiridis P, Nikolaou A, Dimitroulis D, et al. Long-term treatment of deep venous thrombosis with low molecular weight heparin (tinzaparin): A prospective randomized trial. European Journal of Vascular and Endovascular Surgery 2005;29(6):638-50. 6. Ramacciotti E, Araujo GR, Lastoria S, Maffei FH, Mussi NS. The efficacy and safety of enoxaparin once-daily given partly at home, compared with unfractionated heparin given in the hospital in the treatment of proximal deep-vein thrombosis, a Brazilian multicenter study. Blood 2001;98(11):Abstract 4026.